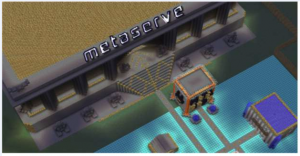 MetaServe is a Survival and Creative server that has been around since December 21, 2010. We strive to meet your needs of wanting to spawn items, so bad you will get banned for spamming a servers chat, by allowing you to spawn items. When you get tired of spawning items, you can even play survival the way it’s supposed to be played, vanilla. Whether you want to create the biggest sky-scraper on the planet or survive and thrive, it’s all here. - The survival world is meant for people that like to play Minecraft the way it’s meant to be played. 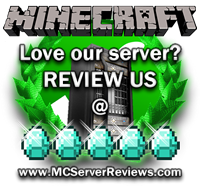 - Incorporates plugins made by plugin developers that enhance the survival experience. - Spawning is prohibited in this world…it’s survival. - The Plots world is a world in which each user will be given a 64×64 protected plot to build whatever they want. - The world is completely flat. - Did I mention that you have creative mode right away? - Same idea as the plots world. - VIP and above only world. - The flatland world is a completely flat grass world. - This world is meant for massive projects, not unplanned randomness. - Only VIP or higher can build in the Freebuild world. Donating is easy as eating a piece of pie for desert after having a delicious steak dinner. - Visit our web-store at store.buycraft.net/metaserve..
- Pick out a package..
- Be amazed by the packages awesome benefits..
- Instantly obtain awesome benefits. 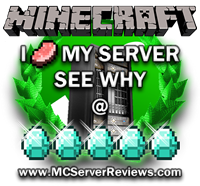 Remember to give us a Diamond if you like our server! If you have any questions or concerns, post below or, you can email me at sillyrosster@yahoo.com! There are 0 Positive and 0 Negative reviews of “MetaServe” sorted by most recent. By clicking submit, you agreed to the rules and are using or have played on MetaServe.